Obituary for Joyce Rose Dissinger | Ralph F. Scott Funeral Home, Inc.
Joyce Rose Dissinger, 82, of Portsmouth, passed away Wednesday, November 14, 2018 at Portsmouth Health & Rehab. She was born June 4, 1936 in Ironton, a daughter of the late Martin George and Lillian Juliette Dissinger. Joyce was a member of Cornerstone United Methodist Church and she had enjoyed her time attending the Vern Riffe School and Star Workshop. 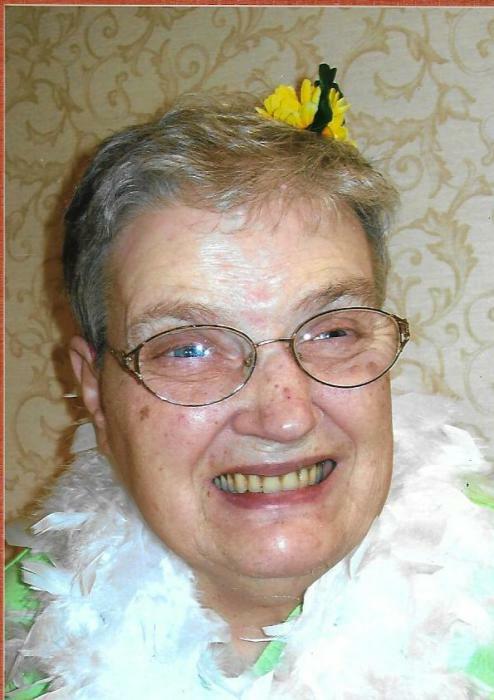 She was very close to her Scioto Residential Services family and Joyce loved attending the SRS Our Time Adult Day Care. Surviving are her brother and sister-in-law, Martin J.M. “Mike” and Ann Dissinger of Stout; and three nephews, Danny, Rich and Marty Cattell. In addition to her parents, her sisters, Cynthia Jane Cattell and Constance Lee Eastwood, also preceded her in death. Funeral services will be held Saturday at 1 p.m. at the Ralph F. Scott Funeral Home in Portsmouth with Rev. Greg Carter officiating and interment in Friendship Cemetery. Joyce’s family extends sincere thanks to Dr. Jitendra Patel, SOMC Hospice and Portsmouth Health & Rehab for the compassionate care she received.